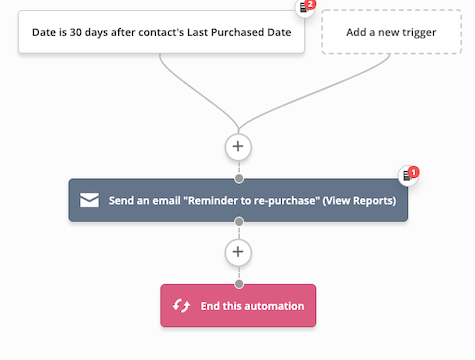 If you have a product that needs to be replenished after a certain amount of time, you can send a campaign to remind someone that itâs probably time to reorder. This can help you decrease the time between purchases and increase customer lifetime value. This automation is triggered by a date field. Youâll need a custom date field that stores the date of last purchase. You may want to give an incentive to motivate them to make the purchase now rather than putting it off.